Ombre decor touches are very popular, it’s a creative idea to add color and pattern to your space but you should be keep in mind that it shouldn’t be excessive. To add ombre touches gently to your space, go for some accessories or lamps. Ombre lamps will add a splash of color to your space, it’s a non-typical and bold idea to make it edgy, and the good thing is that you can give your lamp an ombre look easily, for just a couple of bucks or even make a new ombre lampshade yourself. 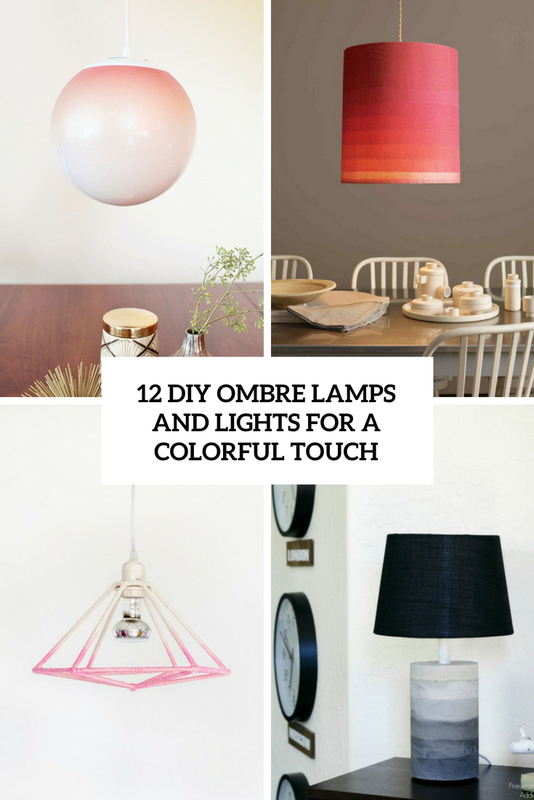 Today we are sharing some cool ombre lamps, I hope you’ll find your inspiration here and will DIY something for your own space. The first project for today is a beautiful pendant lamp made of an 8 inch glass pendant light and decorated in coral with an ombre effect. I totally love the resulting piece done in soft and muted coral, which is ideal for spring and summer and will add a warm touch to your space. Get inspired! The next piece for today is a bold coral lampshade of fabric. Although this shade is striking on a pendant light, its hue and dimensions can be varied for versions that will update any lamp. If your fabric is highly translucent like here, ample light peeks through even when layered. rock the colors and fabric that you like to add a bold trendy touch to the space! 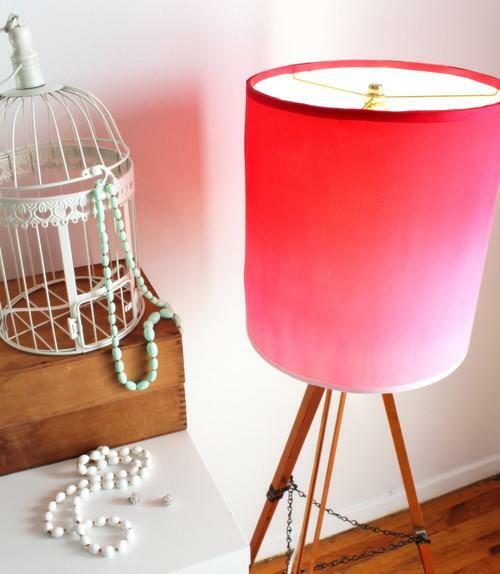 This tutorial will tell you how to renovate a fabric lampshade and give it an edgy ombre look. Interested? This lampshade already had a print but it was white, so it was comfy and easy to give it an ombre look. 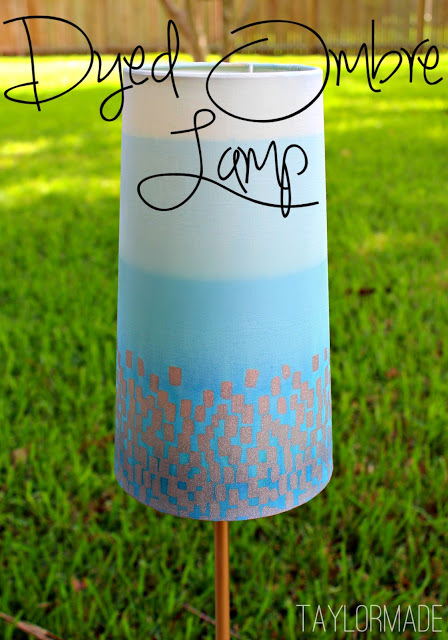 The instructions will tell you how to dye a lampshade in ombre blue with simple tie dying, read them and enjoy crafting! 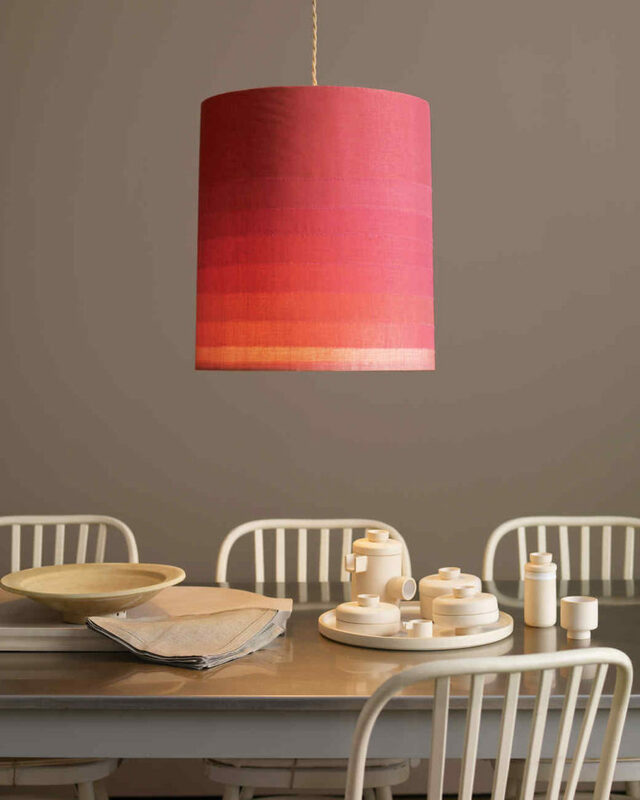 Here’s an easier idea to make an ombre lampshade for any lamp – grab a ready ombre t-shirt or blouse and use it! The tutorial shows how to make an ombre lampshade of a bold ombre pink silk tee, though you can try a blouse or something else you have at hand, the main idea is to take a ready ombre item. Read what to do next in the source. 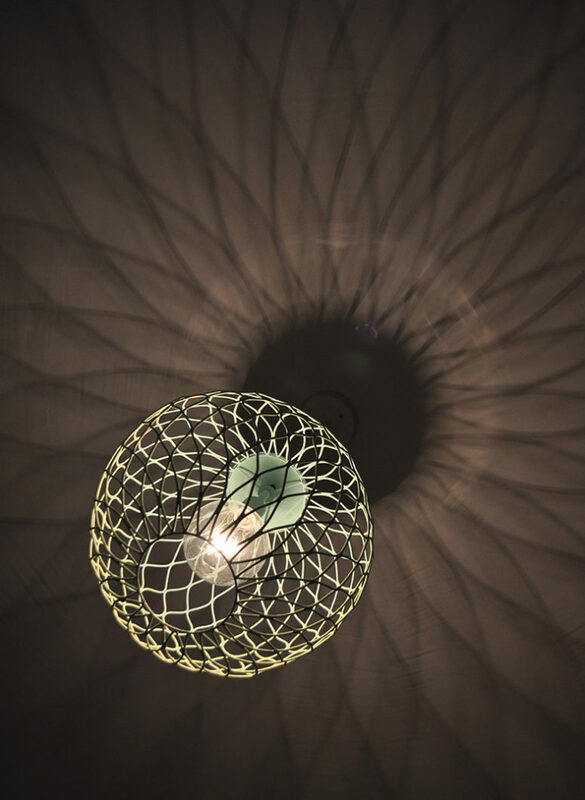 This is a creative lampshade made of fringe – yes, it’s a fringe ombre lampshade! 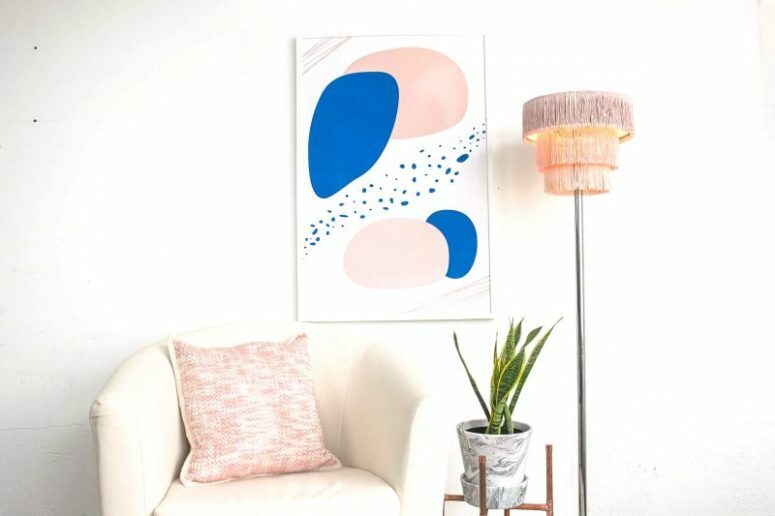 The tones go from light pink to lighter and lighter and look wow, I love that stylized retro look, such a lamp is ideal for a mid-century modern space. Here the author made a floor lamp but you may go for a table version, too. Read how to dye the fringe and make this cute lampshade. Here’s another lampshade that was painted easily without any tie dying – just painted and diluted to achieve a bold ombre blue look. All you need is to take a light-colored lampshade and painted using the instructions in the source. Enjoy! This tutorial is dedicated not to strictly fabric but to a yarn-covered lampshade. 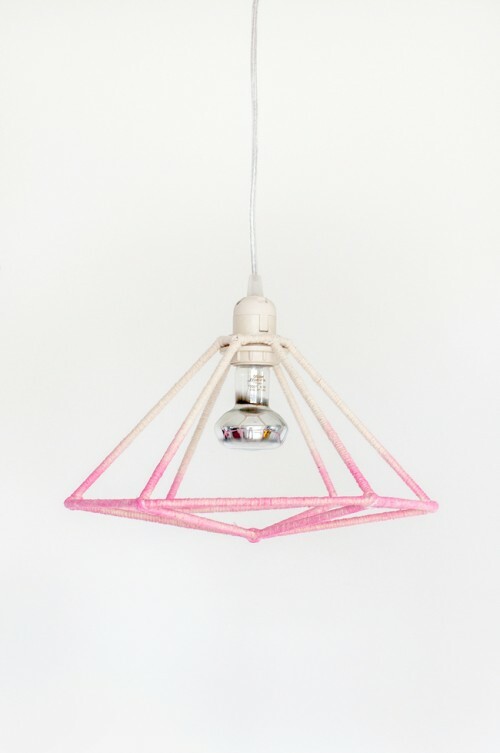 The whole piece is made of BBQ sticks and is given a geometric shape, and the lampshade is covered with yarn to give it an ombre look. I love the modern and bold look of the lampshade, it looks cool and fresh, and the fact that there’s no fabric here makes it cooler. Spruce up usual paper lamps with bold spray paints to give them a cool and bold look. Such a craft will be ideal for any space and it’s also a great option for parties – you can make as many as you need and change your space into a party one immediately with bold colors and interesting ombre looks. 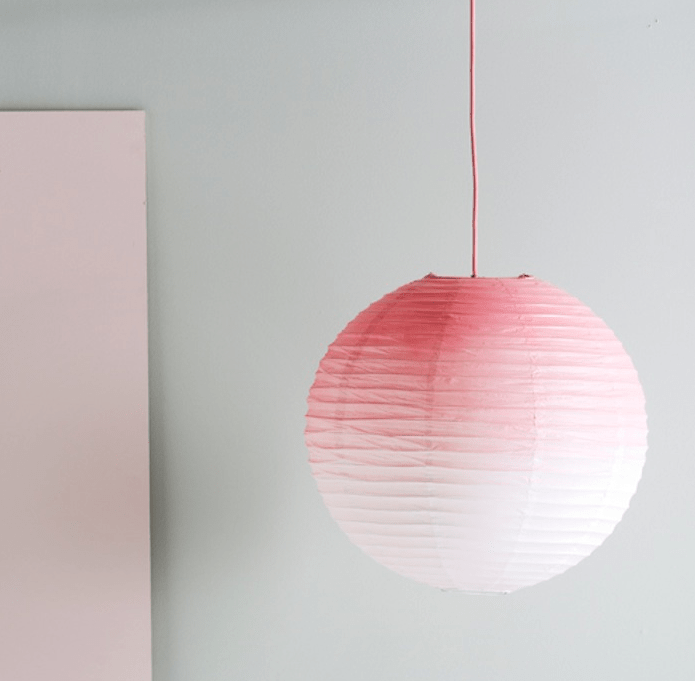 Add a touch of color to your space with a simple paper lamp like this one. the whole tutorial is simple painting and diluting the paint to create an ombre effect. It’s a cool way to add a splash of color to your space and won’t cost you much, enjoy! This pendant lamp featured a black metal lampshade but simple black is boring and looks bulky. How to spruce up this lamp? Paint it with an ombre effect using some cool pastel shade, it will make the metal piece look airy and chic. Looks really unique and personalized, get inspired! 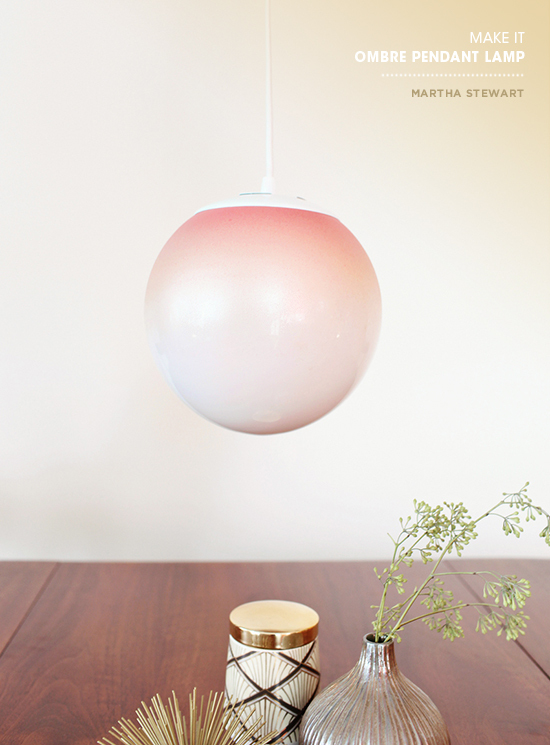 Here’s an unusual tutorial: it’s not an ombre lampshade, it’s an ombre painted base of concrete! I totally love this bold modern or minimalist monochromatic look, which will easily fit such a space and will add texture to the decor. Making a concrete base, especially an ombre one, will take some time, more than just dying a lampshade but it’s totally worth it. 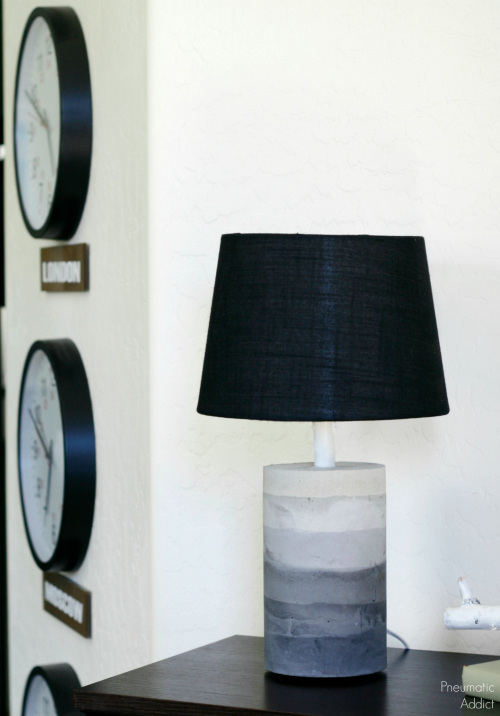 Add a black or white lampshade to match the look and voila, you have a unique piece to rock! The last but not least project is a cool ombre lampshade done with felt circles, which were arranged to create an ombre effect. 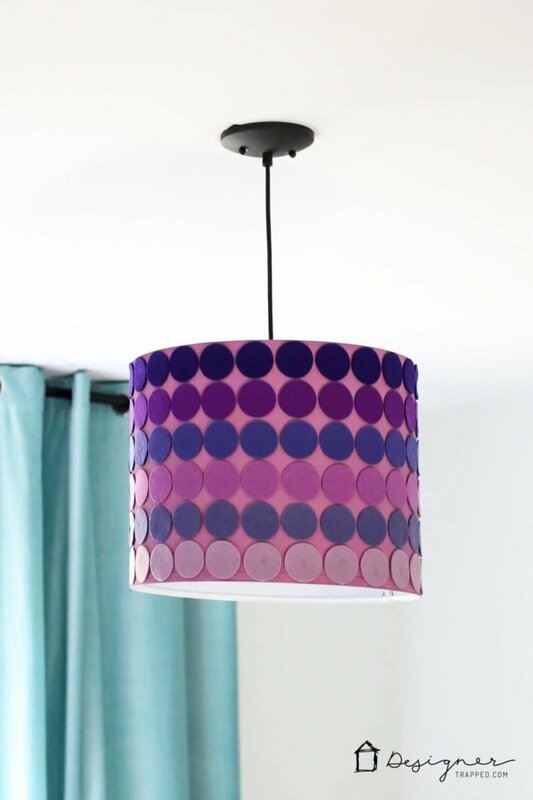 This is a decorating project, with a ready lampshade and you may take any color of the lampshade that you like – not just neutral but maybe colorful and bold, and make felt circles in some matching or contrasting colors. The craft won’t take much time and you’ll enjoy this amazing lamp!